If you’ve been involved in a car accident in Ontario, and you’ve been injured, you will need to report the collision/accident to a car insurer. Despite what you may believe, large car insurance companies aren’t run by computers. They have real live people who work there! Many work very hard and diligently to respond to your claim in a professional, courteous and timely manner. Others…not so much. Some insurers and their employees are better than other. 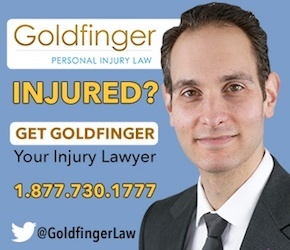 But that’s not the point of this Toronto Injury Lawyer Blog Post. When you call an insurer, you will speak with a real person who will take down your information, and the basic details of your car accident claim. That intake operator will then assign your claim to a person called an “adjuster“. An insurance adjuster is an employee or sometimes a third party contractor of a large car insurer who handles your case. They write to you, call you, send cheques, pay service providers, etc. But different adjusters, handle different tasks and have different responsibilities. The purpose of this Toronto Injury Lawyer Blog post is to do our best to explain why there may appear to be so many adjusters assigned to your car accident case, and what each adjuster may (or may not), do. If your vehicle has been towed, damaged, or completely totalled, a property damage adjusted will be assigned to your case. That person’s job is quite simple. It’s to assess the value to the damage to the vehicle, along with any towing or storage costs, and pay you. It sounds easy; and, in most cases, it is. It’s important for the property adjuster to get the information about the towing company, along with the information of where the vehicle is being held in storage. This information is available from the police, or you may have been provided it at the scene of the car accident. Sadly, the value of the vehicle in your mind, is likely less than the insurable value of the vehicle. The classic example is the case of the used old car that ran like a million bucks. It’s the car that you’ve taken care of year after year. Despite the fact that the Blue Book value of the car was under $8,000; it still ran and operated as good as new. Unfortunately, in a case like this, the insurer will only be able to compensate you for the book value of the vehicle, and not the actual value which the vehicle provided to you. There was a great CBC Marketplace feature on this regarding the insurable value vs. the diminished value of a vehicle. If you’re interested, I’ve left a link to the feature here. It’s certainly worth a read/watch. After a car accident, you’re entitled to claim a wide variety of accident benefits. These are first available through your own insurance company. If you didn’t have car insurance, and you didn’t live with anyone who had car insurance, and you weren’t listed as an insured person under anyone else’s car insurance policy, then you can claim these accident benefits from the other party’s car insurer. In any event, your own insurance company will assign your file to an accident benefit insurer. This person’s sole job is to administer your accident benefits. That person will call you, email you, send you too many letter to count, etc. If you have a personal injury lawyer on your case, then good for you; you won’t have to deal with this person or all of the loads and loads of mail they will send you. Most of the mail takes a lawyer to understand. It’s that complicated, and yes, there is so much of it! If things are going well for your case (but not your health), then the accident benefit adjusted may even be sending you bi-weekly cheques in the form of income replacement benefits or non earner benefits. The accident benefit adjuster also arranges Insurer Medical Examinations (IMEs) pursuant to section 44 of the Insurance Act. The accident benefit adjusted can also arrange for surveillance to be taken of you by a private investigator in order to show you doing something which you shouldn’t be doing. Basically, the insurance adjuster doesn’t believe that you’re as hurt as you suggest you are, so they’d rather pay a private investigator to catch you doing something which looks bad, rather than pay for anymore massage treatment or income replacement benefits. The accident benefit adjuster doesn’t handle the property value of your claim. Nor does this person handle anything to do with your pain and suffering matter. Sometimes, your insurance company will be so busy that they can’t handle your accident benefit file in house. They have to refer your claim to a third party accident benefit adjuster. Sometimes, handing off the claim to a third party adjuster is just cheaper and more economical. In any event, a third party adjuster gives an air of independence because they aren’t employed by the insurer (but they are contracted to do their work). This adjuster has the exact same role as the in house accident benefit adjuster. They don’t have the same authority or leeway as the in house adjuster. They have to report to the in house accident benefit adjuster or manager as well. A field adjuster or task adjuster is assigned to one task and one task alone. Often, it’s to get a statement from the accident victim. They know nothing about the file other than the person’s name, address, along with a time, date and location to take a statement from this person. The statement which they take can be handwritten, typed or recorded. The task adjuster then takes the statement back the the accident benefit adjuster. A field adjuster can complete multiple statements or tasks in the same day. It’s a one and done job. This person won’t call you, send you emails or send you letters. Their only job is to get a statement, perhaps take a few photos, and then you will never hear from that person again. This is the adjuster most people think of when they think of a car accident case. This is the person who is handling the case for the at fault party’s insurance company. This person deals with your pain and suffering claim, along with all other matters which aren’t covered or compensated for in the accident benefit claim. The tort adjuster will want to know all about how the car accident happened, along with your pre-accident health, post-accident health, earnings pre-accident vs. post-accident, attendant care needs etc. If liability, causation and damages are an issue, the tort adjuster will deal with them accordingly through their lawyers at their disposal. It’s the tort adjuster’s job to assess the claim at an early stage, and on-going, so that the insurer can set its reserves properly. Setting reserves means that the insurer sets aside a certain amount of money for the claim. If the case is a catastrophic motor vehicle accident which has left an income earner disabled for a lifetime, then the reserve will be a higher one. If the case is minor in nature, and involves a person who didn’t earn any income pre-accident, and their future care needs appear to be minimal, then the tort adjuster can reserve less money to the claim.